Relax aboard our Vintage Open-Air Trolley! 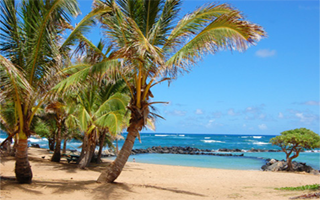 Join us for Kauai's Original Trolley Tour! 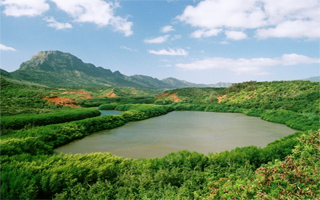 You'll love our 2.5 hour Open Air Tour to various sites around Lihue and Wailua. 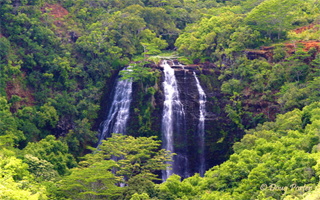 Experience the beauty of Kauai while touring waterfalls, scenic lookouts, sacred Hawaiian sites, and historical destinations. Our tours run every day that there's a Cruise Ship in the harbor! Are you a ship passenger? Don't worry, we'll make sure you're back to the ship on time. We even have a Free Trolley Shuttle to and from the cruise ship to Harbor Mall. 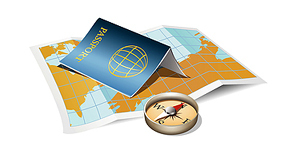 A few of the places you'll visit. 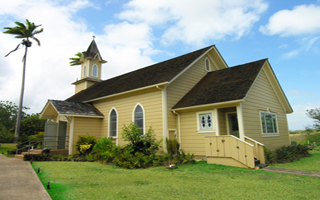 Lydgate Beach Park, Opaeka'a Falls, German Hill Chapel, Pohaku Ho'ohanau Royal Birthstone and Heiau, and Alekoko Menehune Fishpond. Cruise ship passengers can catch the Free Trolley Shuttle to and from the ship and Harbor Mall. This link will take you to the Harbor Mall Website to get directions to the mall. 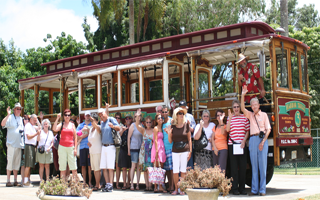 Trolley Stop Tours is owned and operated by Harbor Mall LLC. We hope you enjoy your Trolley Tour!